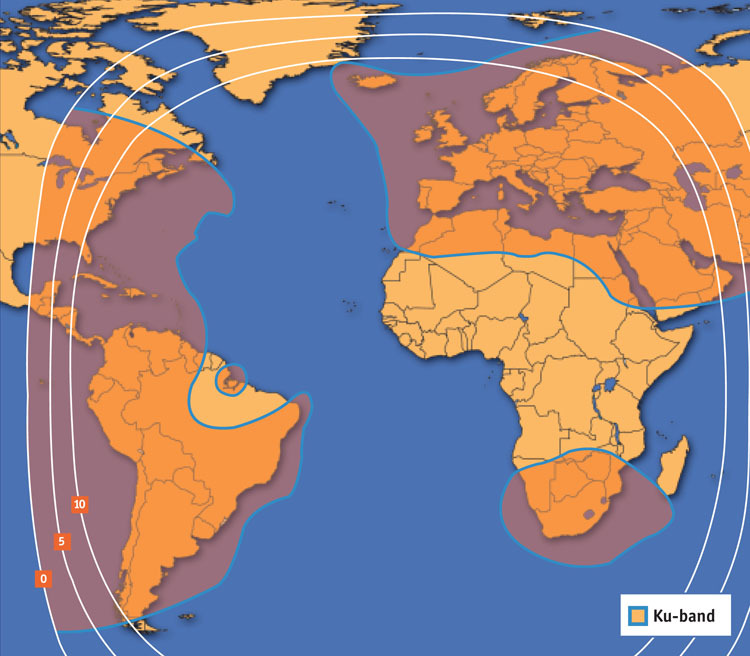 Kuhnke International's VSAT coverage is offered on three different satellites in the C and Ku bands. Our service region stretches from Ireland to the Philippines. From the teleport in western Europe we are well positioned to cover a significant percentage of the world's population. Ku-band: Highly flexible service using 1.0 to 1.8 meter dishes. The Ku-band spectrum is well suited for "flyaway" type transportable satellite antennas and shared bandwidth TDMA services. 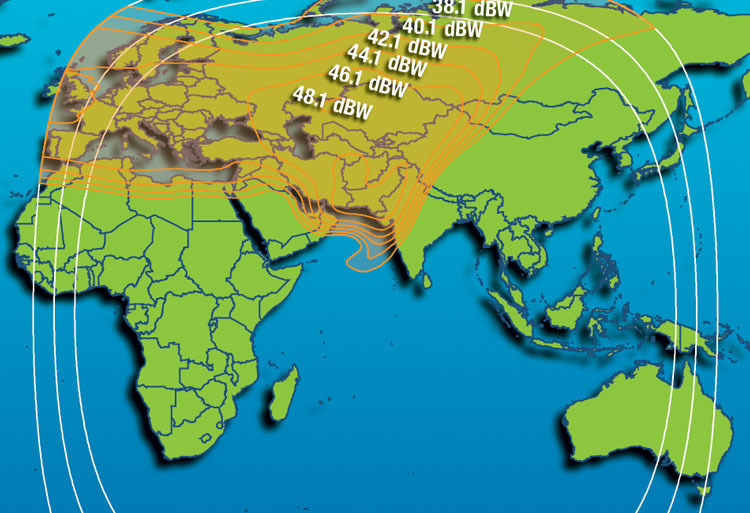 The Ku-band operates in regional "spot beams" which cover specific geographic regions of a hemisphere, such as Iran/Afghanistan/Pakistan. Ku-band satellite terminals can be as small as 32 kilograms, with many possibilities including units compliant with airline checked baggage limits, vehicle roof mountable and complete systems which will fit easily in a small helicopter or Toyota 4x4. Kuhnke builds and maintains a full range of tactical transportable Ku-band systems. C-band: Fixed site, business class using 2.4 to 3.8 meter dishes. Our C-band offerings are focused on SCPC (single channel per carrier) business class service. SCPC terminals provide dedicated capacity 24x7x365 and are well suited for head office, military base, embassy and telecom carrier purposes. The C-band is also more resistant to signal fade from rain and snow storms. 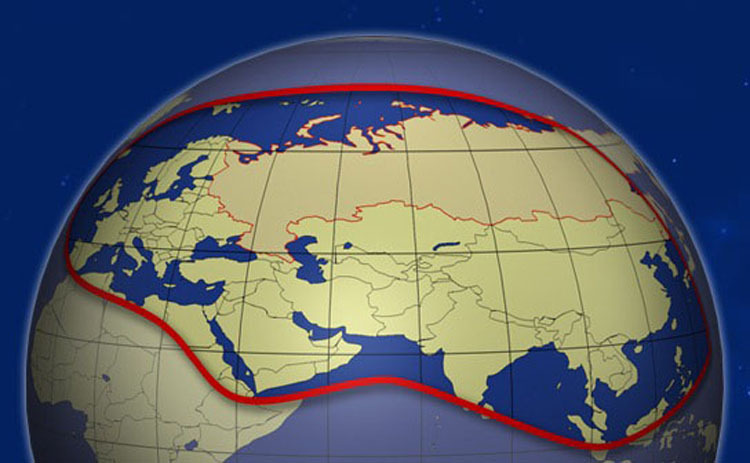 C-Band services are typically provided on a large fixed dish which is mounted permanently (or semi-permanently) in one location. For organizations that require a large amount of dedicated downstream and upstream capacity, C-band can be more economical on a monthly recurring cost basis than the Ku-band. are downlinked through the western Europe teleport with direct connections to tier-1 ISPs in Germany and France. available in increments from 64 kbps to 6 Mbps+ and can be utilized anywhere in the satellite's regional spot beam. in South America, including all of Colombia, Venezuela, Ecuador, Peru and Bolivia. (C) 2008-2012 Kuhnke International, all rights reserved.